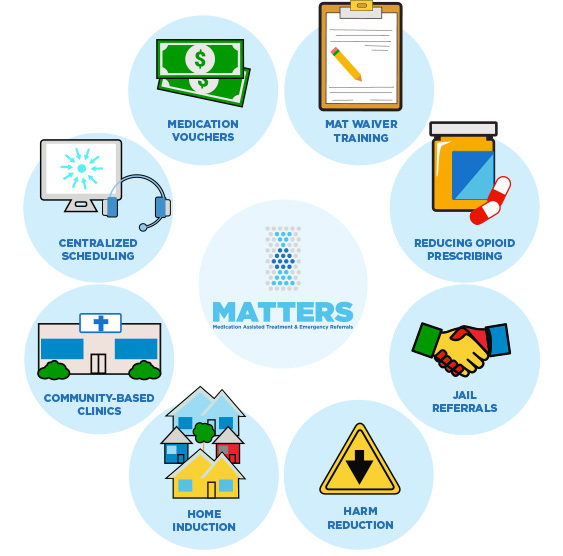 Regional hospital systems, through the Medication Assisted Treatment and Emergency Referrals (MATTERS) network are partnering with community-based substance use treatment programs to reduce inappropriate controlled substance prescribing, increase access to medication assisted treatment (MAT), and provide rapid access to substance use treatment programs. To aid our shared patients in initiating and continuing successful opioid and overall substance use disorder treatment. To reduce morbidity and mortality associated with opiate and substance use disorder. To provide a best practice model for Hospital and Emergency Department Initiated Buprenorphine Programs that others can emulate. To provide the same high level of care to patients suffering from opiate use disorder that we would for any other emergency medical condition. We will continuously evaluate our program and share our lessons learned with others. They will accept patients who have not been prescribed buprenorphine or MAT in the past. They will offer timely appointments to patients referred from the hospital and emergency department. 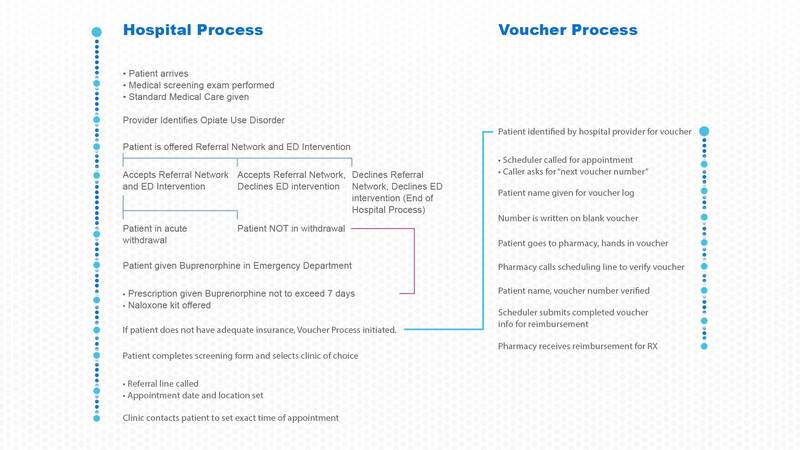 They will provide feedback referring providers regarding the disposition of referred patients to improve processes.